For the past 6 weeks I took a little journey. A redesign if you will….of myself. I am the kind of person that puts everyone in front of herself, making sure everyone’s needs were met before my own. I have always been that way, and I always will be. But for once, I put me first. I am not one to click on Facebook ads, however this one caught my eye, “Transform yourself in 6 Weeks”. So I signed up for their open house to find out about the program. I showed up with 20 other women. We all went around the room and shared with each other why we were there. Some of the other ladies were not far off from my own reasons to join. Half way through the talk, I knew that I was committing to do this. 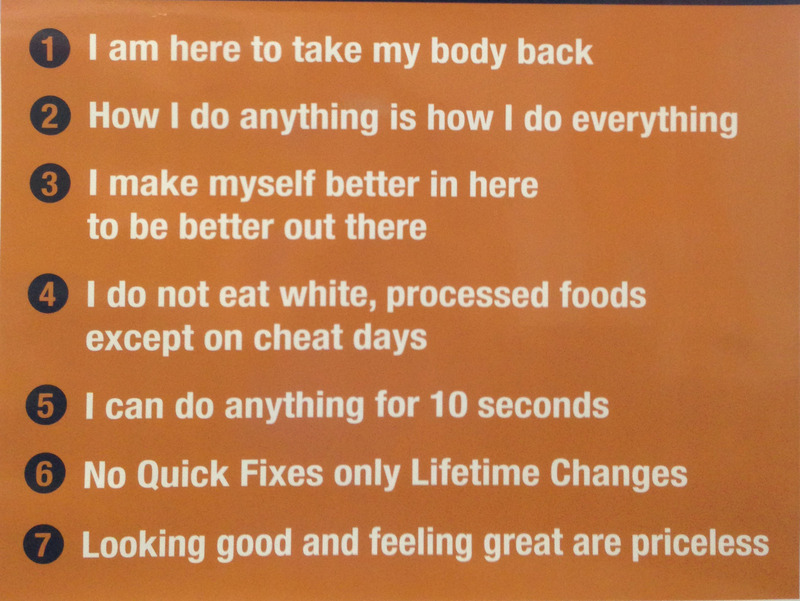 The gym rules that we read after every boot camp workout. 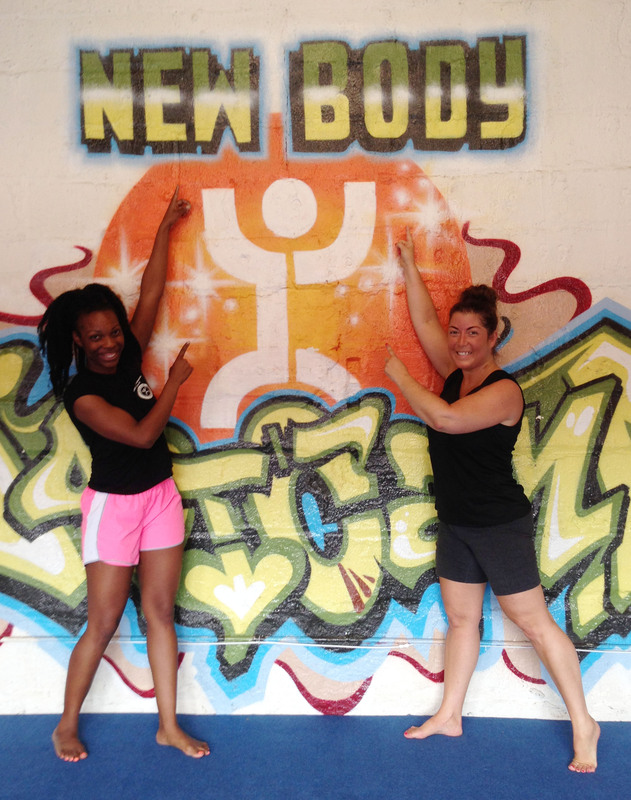 On June 16, I started my 6-week challenge with New Body Boot Camp in Park Slope, Brooklyn. My morning began with my weightlifting coach Tasha and right off it was a positive experience. We jumped in and started training. The first week was the hardest. You hear “Boot Camp” and think Uh Oh. Exactly. I was very sore and each day and I had to talk myself into going to class. Week 2 was a little easier (not from the exercises themselves, but the routine of it all). By week three I started to notice little changes. By weeks 4, 5 and 6 I noticed a lot of changes. Sometimes noticing new things when you first wake up in the morning. There was weight loss success as well as NSV’s (No Scale Victories), my clothes fit better and I now notice definition in some of my muscles. 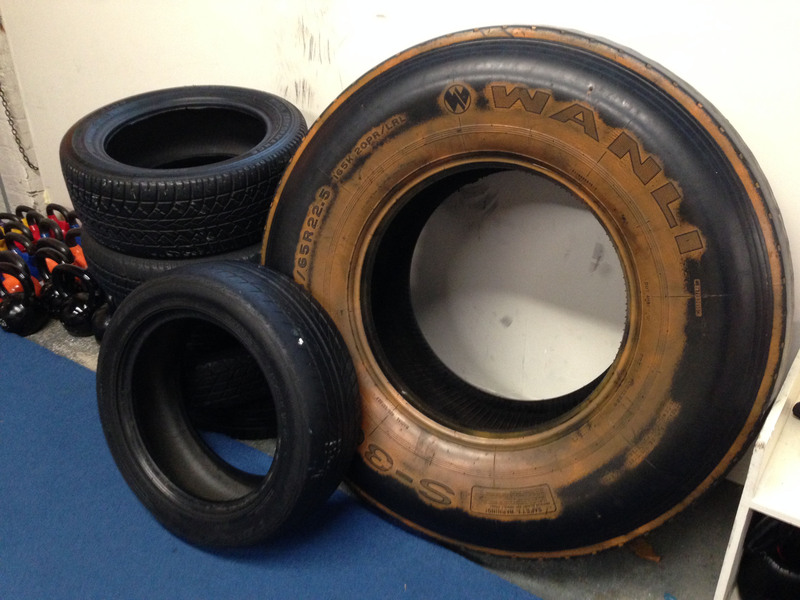 That’s right – we worked out with tires and I can do crazy things with them now. Working out has never been fun for me, it’s always just been hard or lonely or both. (Let’s face it – most people feel this way!) I finally found a little “gym” that I can call home. Class sizes are small, my instructors care about my form as to not prevent injury, while our workouts are HARD, they make them enjoyable. And because I enjoyed going to class almost everyday, I learned that this could actually be a life-changing thing for me. After 6 weeks, I am STRONG. I can do a plank for 60 seconds, I can do pushups, I can do burpees and all sorts of other crazy things they threw my way. Was it hard at first? OF COURSE IT WAS. Is it still hard now? Yep! It’s really the first time I have ever challenged myself and wanted to feel victory. Every time I go to class, I walk out feeling stronger, happier and more confident in me and I am really proud of that. 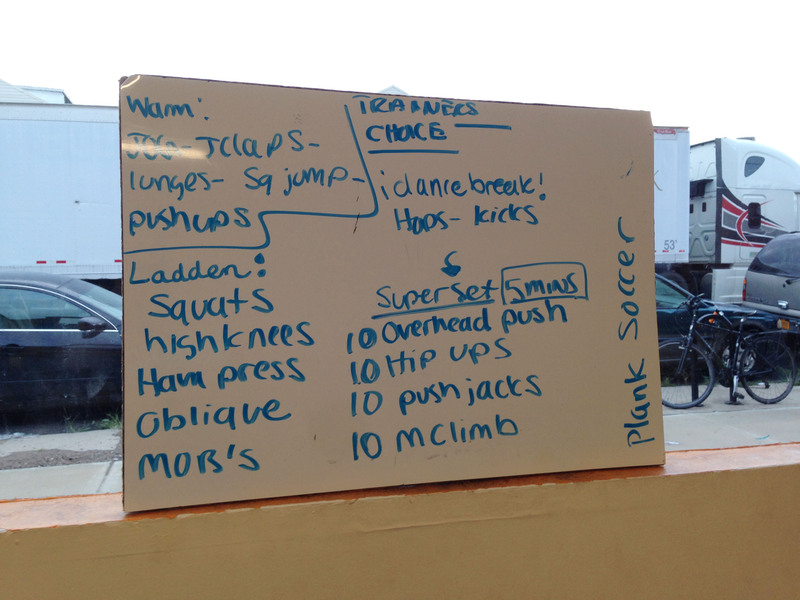 Each workout was written on the board for all participants to see. Sometimes, I didn’t look at the board just to keep it interesting. 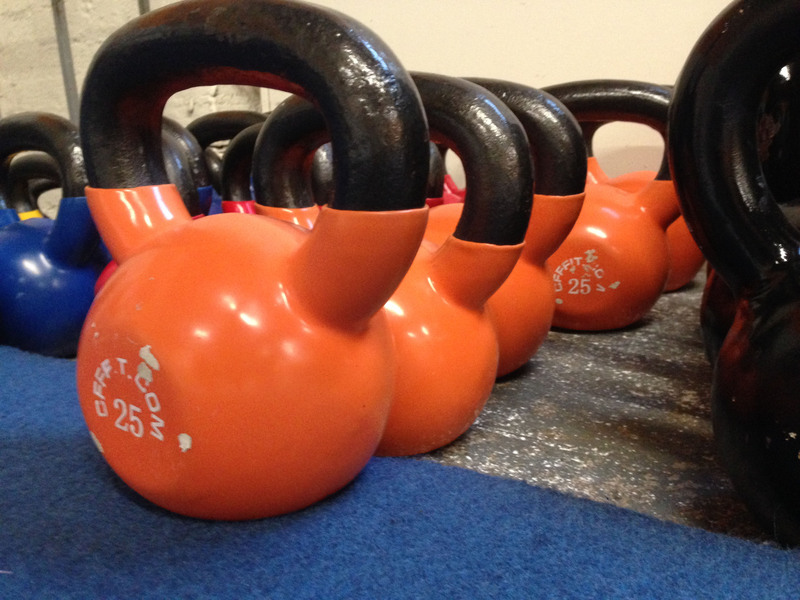 I am no longer afraid of kettle bells. I even go for the heavier ones now because the lighter ones no longer do anything for my workout. This was only one part of our challenge, the other part was food. When I first started, I was trying to figure out how my eating habits were going to fit into this new exercise regime. Food used to be something to eat of when I was hungry, bored or stressed out. Now I look at food as a way to fuel my body. Are my choices still tasty? Absolutely. Because I have drastically increased my activity level, I was hungry ALL THE TIME. And now I eat little meals throughout the day to satisfy my cravings by making smart choices of what I put in my mouth. My favorite breakfast(and sometimes dinner) that I made for myself throughout my 6 weeks. 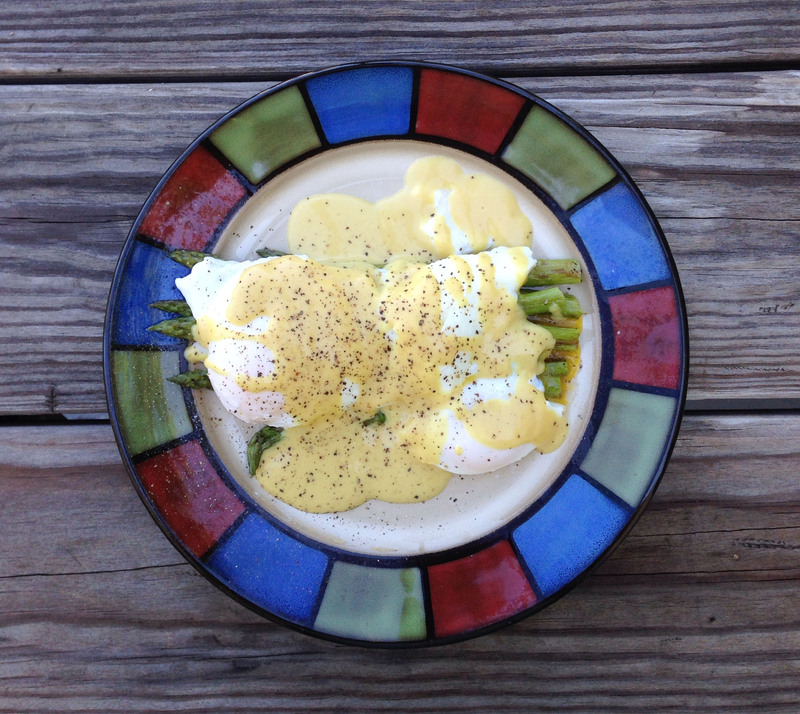 Poached eggs over grilled asparagus with dijon vinaigrette. I want to personally thank the four people at boot camp who worked with me and helped me discover that these are things that I can do – Aja, Irvin, Naliaka and Tasha. Thanks for continuing to make working out fun! My journey is far from over. I learned that “I got this”, I can make this a part of my life and that I have to put myself (health) before others and it’s one of the best decisions I have ever made. The new “redesigned” me with one of my instructors Naliaka. I still have a ways to go, but I am really proud of myself! Greatly written Rebecca ! I’ll sign under each word ! Good for you! You look (and I know) you are feeling amazing. Keep up the hard work. Wow I am so impressed . I have been wanting to change my life and you inspired me to do so. I am committing to exercise and a diet . I have gained so much weight the past few years and I feel tired. I am going to find a program near me. ← A NEW STEP-BY-STEP CAKE TUTORIAL!